Radiate an ethereal glow with the Decléor Radiance skincare collection, a luminosity-enhancing collection of skincare for dull, tired skin types. 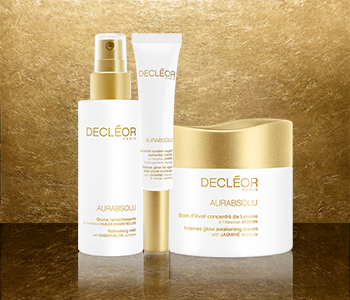 Whether you’re burning the candle at both ends, or your skin is in need of an extra special glow for a specific event, the radiance collection from Decléor is exactly what you need to transform your skin. By combining the power of plant-powered ingredients and brightening essential oils, the Decléor Radiance collection is a must-have for those concerned with skin dullness.